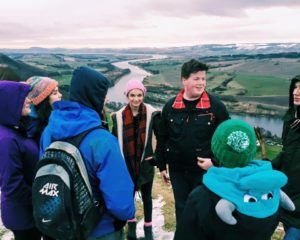 This week, Derrick & Amy had the great opportunity of taking away some pupils from the local high school for a leadership retreat in Perthshire. Throughout the school year we meet regularly with the Senior leadership team from Park Mains High to look at different methods of leading others, as well as helping them to develop personal value to help them with their influence in the school. We work through the ‘Habitudes’ books written by Tim Elmore which take the biblical model of leadership and help us to apply it to our lives and our world. Please continue to be in prayer for them, the high school and all of the work we do there.